Are you ready to start Sealing Stone in the best possible ways but you still haven’t found a company that can help you do this? Perhaps you’re on the lookout for the right presentations and products for your stones, but you don’t know where to go. If you’re looking for a high quality way of sealing your tones and making them stand out in your residential or commercial setting, our team is here to help. With the professionals here at TSS PRO Sealant, you’ll be able to find relief in what we have to offer you. Be on the lookout for our products and engage in our sealing solutions. The TSS PRO-600 is one of the many standout products we sell to our customers. Are you trying to figure out a way to densify and consolidate your stones and you don’t know where you’re going to begin to get this out of your system? When this happens to you, you may not know how you’re going to be able to find the right sealant to help you out of your situation. While this might be frustrating at first, you’ll be able to find solace in our mobile cleaners. The TSS PRO-200 is a great option for you if you’re looking for some type of high performance sealant. Like its predecessor, this is an all-natural an organic product that delivers excellent performance. However, there are some things that help it stand out from the crowd. Its molecules are slightly bigger than the ones of the counterpart. In addition to this, it’s great for helping prevent the buildup of mildews, stains, and algae. Utilize this brand when you’re ready to discover affordable, legal, and healthy cleanings. Regardless of what type of stone you have in your home, it’s going to be important of you to seal it. Do you have a lot of sandstone in your residence and now you’re kind of worrying about how it’s going to withstand the test to time? Maybe you don’t know what you’re going to do about this and you’d like some professional help from our team. Whatever the case may be, you’ll be able to rust our employees and figure out your sealing predicaments. We’ve been helping people like you since the 90s, and we have no time on planning on slowing down now. Are you ready to find the products you’ve always needed and wanted for your natural stone cleaning and restoration? If you’re sick of harmful chemical that aren’t organic, we understand. We are, too, and we would like to help you by providing you with quality sealants and expert performance for everything you do. When it comes to sealing your stones again, make sure you trust the TSS PRO Sealant over the competition. Even though the TSS PRO Sealant is a quality item that will help you get through your stone sealing needs, you’re going to need some more if you want to really employ it in your daily life. Are you trying to figure out how you can find an affordable sealant that meets your needs without putting you into the poor house? Perhaps you’re looking for some reasonable prices without having to compromise on quality. If you want some premium sealants that do their job while giving you incredible results, we’ve got your back. Make sure you check out our long list of all-natural n dale-organic sealants if you’re ready to find answers to your stone sealing needs. Sealing your stones can really be tough if you don’t have quality sealants that elpy you keep it bound and tightly wound together. If you’d like some help with this, visit our online catalog and choose from our long list of selections. With these on your side, you’ll be able to easily find answers to the many problems and qualms you might be having. 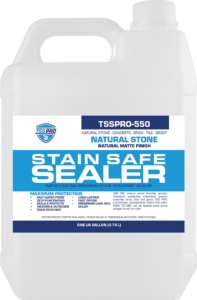 Your stone sealing needs don’t have to et out of hand; instead, allow the TSS PRO Sealant to do what it does best! 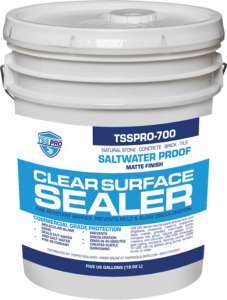 The TSS PRO Sealant is something that a lot of people depend on when they’re trying to block out mold and algae. Are you worrying about not being able to defend your flagstone from the water stains that usually drive it crazy? Perhaps you’ve had this a ton in the last fall and now you’re looking for diversion tactics. While it’s smart to look at way to prevent things from happening, sometimes you may find yourself saving energy by skipping straight to a resolution. We think this can be one of your situations. You’re probably trying to make sure you don’t have a rained out flagstone on your backyard patio. Perhaps your kitchen has an outside seating area that’s covered in quartz and now you’re worrying about your customers. These are very critical situations, and we understand that you may be depending on the best stone sealing equipment. Why not trust in the team here at TSS PRO Sealant when you’re requiring top notch assistance that will continuously surprise you? Of course, there’s always the old lassic, the TSS PRO-100. This was the first type of sealant from our company to hit the market, and we couldn’t prouder of it. This was an absolute backbone of the local area, and many people used these when they had some type of residential or commercial area. Are you dealing with a surface that’s made out of sandstone out it’s located within a restaurant? Regardless of where you are you’ll always be able to enjoy the convenience and versatility of what this deals to offer you. Sealing Stone isn’t always as easy as it looks, and you’re probably underestimating what it’s going to take to get the most out of this. Our team understand what you’re’ going to require, and we’re here to back you up whenever you need to reseal your stones. Regardless of the type of material, you can trust TSS PRO Sealant to help you stone look restored. Our proprietary sealing solutions are here for you when you’re ready to provide your surface with a bit of a facelift.